Whether you’re looking for an emergency furnace replacement or doing preliminary research on the best furnace brands and local furnace companies, you’ve come to the right place. Since 2007, Capital Heating & Cooling has been the trusted choice for home furnace installations in SE Wisconsin, we don’t cut corners, & we back everything with written guarantees. Manual J Load calculation is performed to ensure the right size equipment for your home. 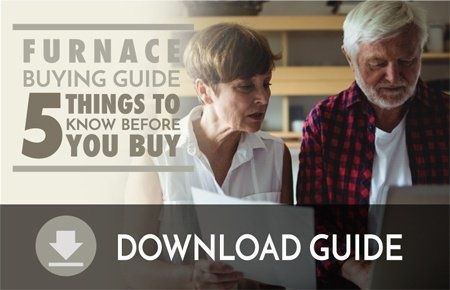 Download the furnace buying guide for more information on the importance of load calculations. You can expect expert guidance to pick, choose, & prioritize the features that make sense for your home. Have peace of mind for up to 10 years that your new furnace is covered. 40% of contractors cut corners by leaving it up to the homeowner to register their own warranty. Capital Heating & Cooling guarantees to finish the job by registering the equipment we installed with the manufacturer. We back all our work with a written 100% satisfaction guarantee. Which means, in the rare event there is an issue with your furnace installation, you can count on us to do whatever it takes to rectify the problem and ensure you’re 100% satisfied – leaving you with more time to add to your seashell collection or visit the tropics. You want a local furnace company that will do a good job, stand behind their work, and not make you cash out your 401k. Look, not to toot our own horns, but our reputation in SE Wisconsin is impeccable (toot toot); from outstanding online reviews, to A+ ratings from trusted sources like BBB, Google, Home Advisor, & Yelp, choosing Capital Heating & Cooling means you’ll have peace of mind knowing that your furnace installation experience will be top notch all the way, and your new furnace will be backed for years to come. Contact Capital Heating & Cooling online, submit the form at the top of the page, or call 414.384.4822 to schedule your free in-home consultation to discuss your furnace replacement options with a professional.